Arguably the most recognized sportscard in the entire hobby and the key card from the most important post-war set in existence. 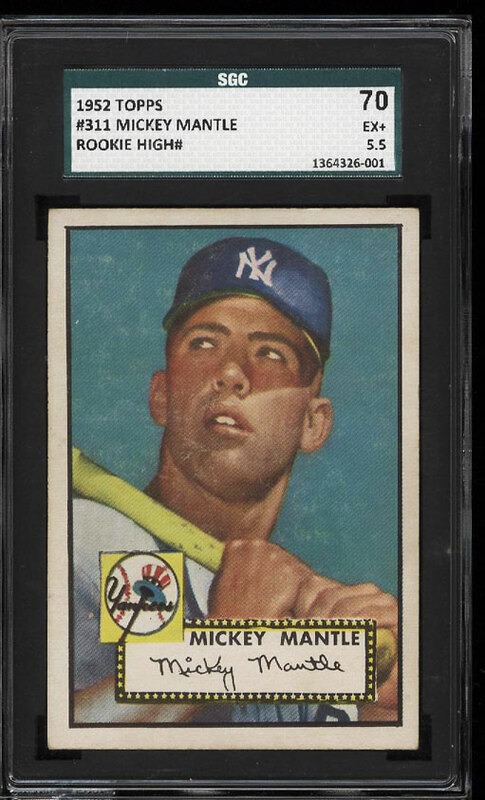 Although not Mantle's true rookie card, it's undeniable that this is his most important card. The offered '5.5' incredibly boasts near perfect 50-50 centering; an all too rare quality for the condition sensitive issue. The card boasts fabulous edges with virtually EXMT corners. The borders are clean and the color and clarity show extremely well. 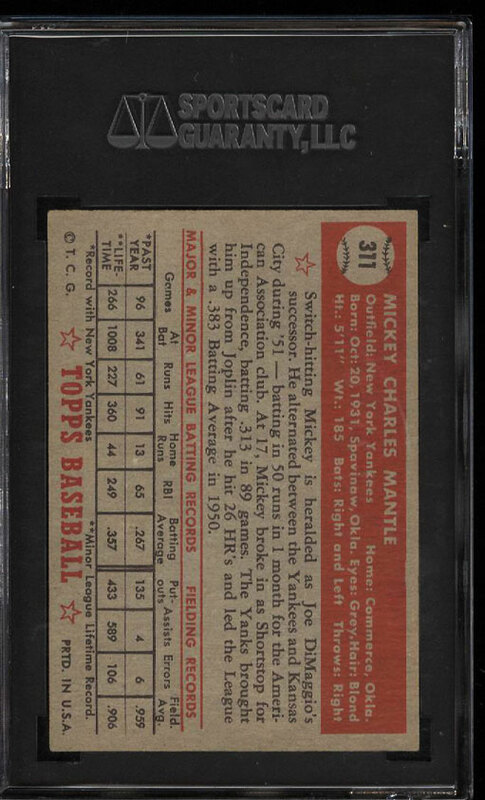 This is an all around fantastic card with many attributes of a $60,000+ EXMT copy. A blue chip commodity which is deserving of the finest collection. One of over 18,000 cards, lots and sets up for bid in our 1st Auction of 2018. Click on the link above to view the other PWCC auction lots.